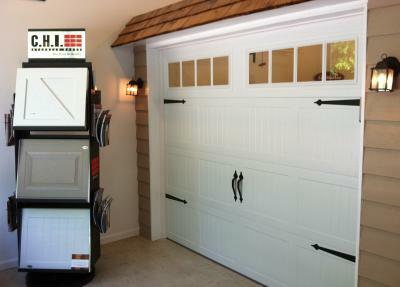 Welcome to McSpadden Garage Door Company, a family-owned and operated business. We would like to take this opportunity to show you and tell you how we can provide fast, reliable service, quality, guaranteed work, and high-quality doors at a reasonable price. We are always friendly and courteous. We are small enough to serve you and your family. We are always ready to answer your questions when you call. We have been in business since 1977. McSpadden Garage Door is proud to provide quality service and quality doors. We are not about mass production and leaving one job to begin another we finish what we start. Our company goal is total service and customer satisfaction. Stop by and see our updated showroom. As an authorized dealer for C.H.I. Overhead Doors and Lift Master, our showroom features a working C.H.I. carriage house door and also hand samples of our doors.